One of the most established cosmetics brand for women is Bobbi Brown, a brand named after the founder of the company. Bobbi Brown is an American born in 1957 who is currently the Chief Executive Officer of the company who is also a trained make-up artist. Its brand is currently being sold in major stores and outlets and has a presence in 56 countries around the world. The brand is known for is simple and natural products which catered to women from all walks of life. Starting off with a modest 10 brown-colour based lipstick choices, the Bobbi Brown brand was introduced to the market of simple, flattering and wearable makeup through Bobbi Brown Essentials in 1991. Basically, the Bobbi Brown range then were known to offer the natural look for women which was catching up with the demands of the consumers. The company would eventually in 1995 be acquired by Estee Lauder Companies, a major global cosmetics group. It would then continue to develop the brand to become a major global brand where it now offers a full range of cosmetics, fragrance and skincare in a variety of range. 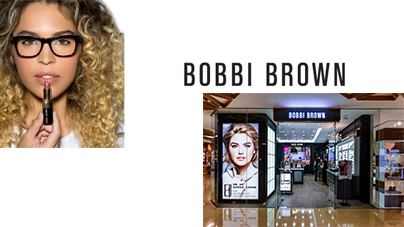 Bobbi Brown today is one of the most recognized and demanded cosmetics brand around which is being used by individuals, working people as well as celebrities around the world. Bobbi Brown, the owner is also a very active beautician where she has appeared in television programmes, magazines as well as on the web where she is currently NBC Today Show’s Beauty Editor. On top of that, she is also the Contributing Beauty and Lifestyle Editor of the internationally popular Health magazine. The beauty expert has been appearing alongside the likes of Martha Stewart, Oprah and others where her testimony as the lifestyle and beauty expert is good marketing enough to establish the brand among women today. Apart from that, Bobbi Brown is also involved with many beauty related campaigns like the Pretty Powerful campaign which is launched to create awareness among women that they are beautiful without makeup although using the right makeup would be ‘pretty powerful’. The campaign was a huge success which featured ‘before’ and ‘after’ photos of participants.